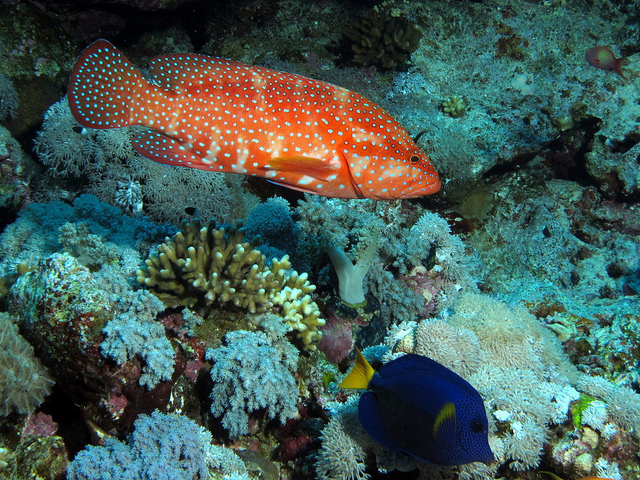 The Red Sea is home to some of the world’s few remaining pristine coral reefs. These reefs are not only beautiful, but also extremely diverse with close to 300 species of hard coral recorded throughout the Red Sea. Of the 1,200 or so species of fish that call these reefs home, about 10 percent are found nowhere else. Nevertheless, with population growth along the coasts, the health of these coral reefs, especially those along the Saudi Arabia border, may be in jeopardy. Fortunately, Professor Daniel Roelke, a researcher in Texas A&M University’s Department of Wildlife and Fisheries Sciences, with support through the Institute of Applied Mathematics and Computational Biology at Texas A&M, is partnering with faculty at Saudi Arabia’s King Abdullah University of Science and Technology to ensure the safety of these reefs as well as the marine biota living on and within the reefs. Through a combination of numerical modeling, in-field experimentation, and monitoring, Roelke and his colleagues are working to better understand the relationships among nutrient loading, mixing depth, phytoplankton biomass and composition, and spectral quality of light incident upon the coral reefs of the Red Sea.